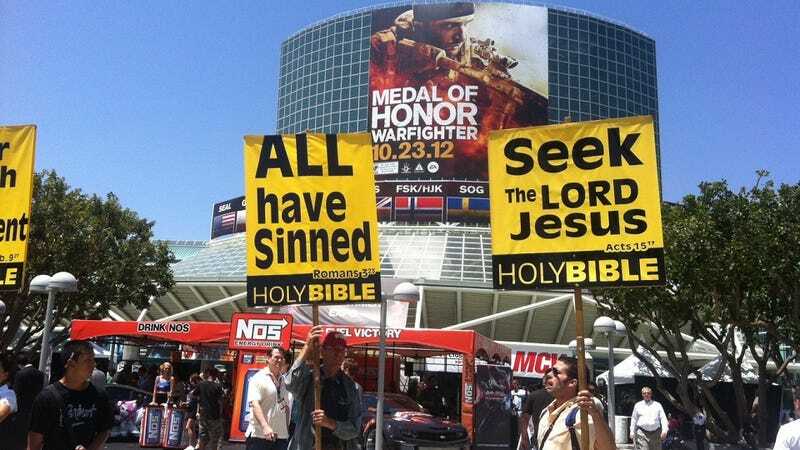 Just outside the LA Convention Center today, between the energy drinks and the first-person shooter advertisements, I found some people yelling at me to accept Jesus. Which I guess is sort of like the marketing I saw inside the Convention Center. With less dubstep.